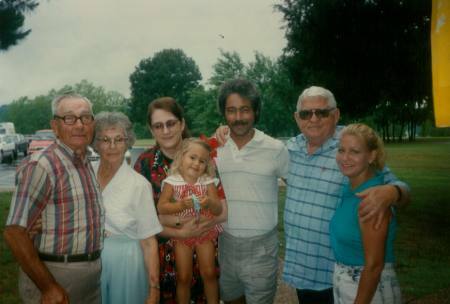 L to R - Victor, Myrtle, Anna Lee Jurcik Hudson holding niece Jacqueline Jurcik, Raymond Jurcik, L.N. Hudson, Carylon Jurick. Myrtle (Staggs - born 10/15/1920 died 1/6/2002 ) was the daughter of Nora Eubanks Staggs, married Victor Raymond Jurcik (born 8/31/1918). They had three children. 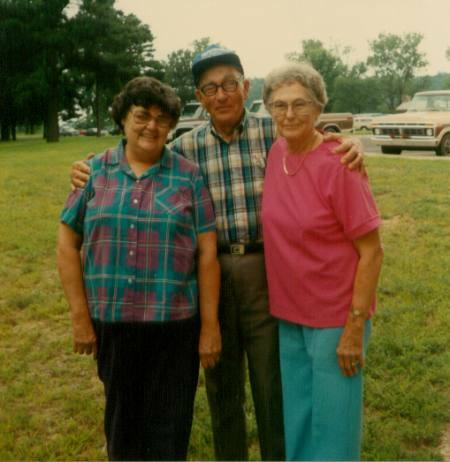 Eubanks Reunion 1992 - Daughters of Nora Eubanks Staggs - L to R - Kathreen Tate, Victor & Myrtle Jurcik.